If you’ve come to see Fiji for more than just the sand, sun and sipping cocktails, then you might want to consider getting off the beaten track and immersing in the Fijian culture. A great way to do that is with a village stay in Fiji! Fiji is one of those island countries where the culture is well and truly alive, which means for us travellers, the culture is extremely accessible. Many locals living in villages open up their homes to guests, which not only allows travellers to experience village life in Fiji, but the funds for the village stay will go straight back into the community. 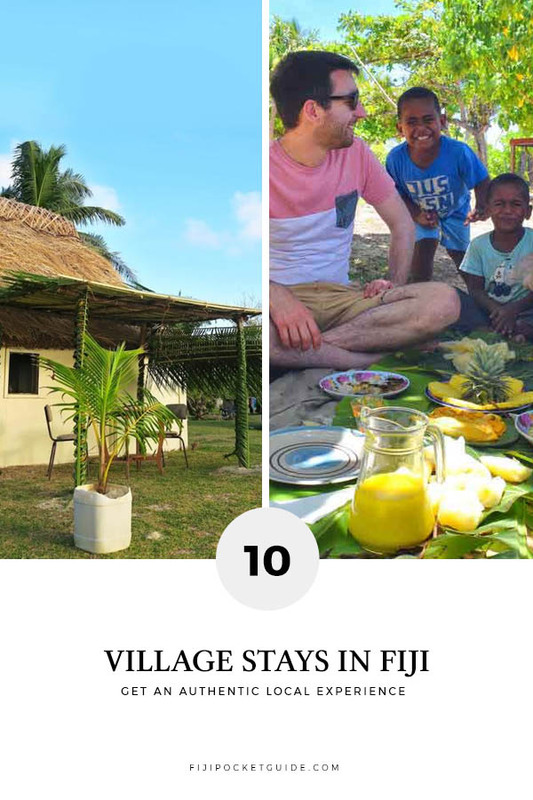 We’ll go through some of the top village stays around in the country in this list of village stays in Fiji! Before we get started, it’s important to note that staying in a village is a lot different to staying in a resort. Housing is very basic, so don’t expect anything flash, and amenities like toilets and showers (or simply barrells of water for washing) will be situated in a seperate block outside, yet still private. You will need to abide by basic Fijian customs, such as presenting a sevusevu (a gift of kava roots) to the village chief so you can be formerly welcomed into the village. Learn more about this in out Guide to Village Etiquette in Fiji. You’ll also find that village stays are not widespread throughout the islands. For now, most village stays are in the Yasawa Islands, a 4-5-hour ferry ride from the mainland, and Taveuni, which is accessible by domestic flight from the mainland. Check out How to Pick the Best Village Homestay for You too for more tips. Stay a minimum of two nights on Nacula Island on the beautiful island group of the Yasawas. You’ll get a real Fiji experience with a mix of mingling with the locals and enjoying your own privacy in one of the Naisisili village’s beachfront bures. 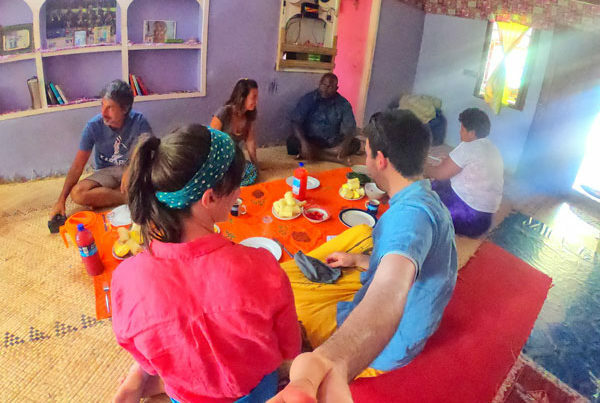 Yasawa Homestays offers a three-bed bure and meals are shared with various different families in the village each night. No two experiences are the same as you are living the normal Fijian village life while you are staying on Nacula Island. Activities available include snorkelling on the beachfront reef, hiking on the island and fishing trips with your hosts. 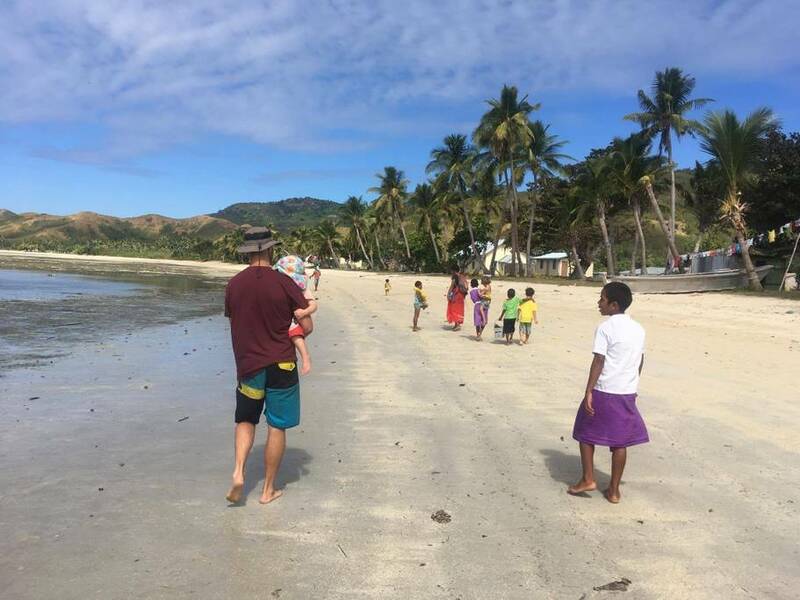 Stay with a Fijian family and learn all about the local culture with a village stay on Wayasewa Island, also known as Waya Lailia, in the Yasawa Island group. There are several families offering homestays on the island, which can be booked through Airbnb. WaisEle on Airbnb offer homestays for solo travellers, couples and families, welcoming travellers into their home with warm Fijian hospitality. They can organise activities in the village for a reasonable price, whether it’s learning how to weave, snorkelling with reef sharks, doing a Fijian cooking lesson, going on a mountain hike or something else! 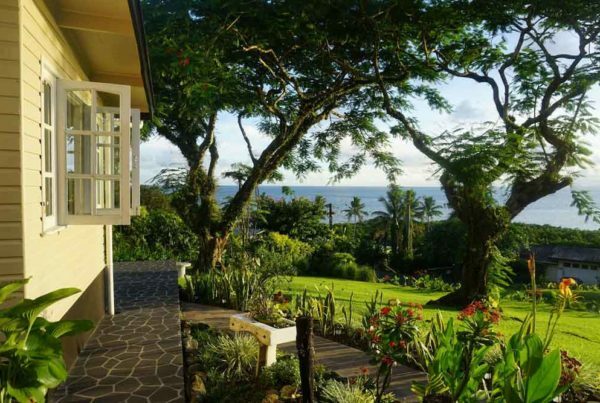 Check Waisele’s listing and don’t forget to get your FREE FJ$50 Airbnb credit on us! 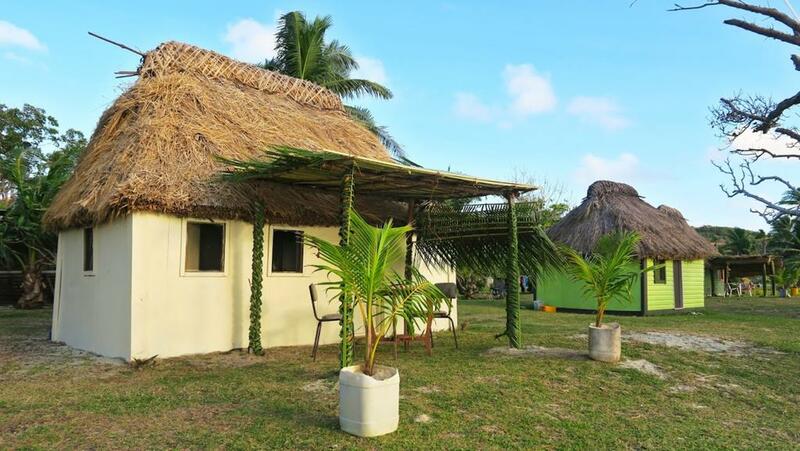 A spectacular Fijian village experience that caters to larger groups of friends or families awaits at the Sunrise Lagoon Homestay. 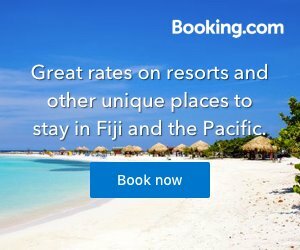 Choose from quadruple rooms, double rooms and even a 6-bed dorm room so everyone in your party can enjoy this Fijian village stay with a local family. Taste authentic Fijian food at a much more affordable price than what you’ll experience in any resort. What’s more, the village stay is on Nanuya Lailai Island, just a 30-minute walk away from the famous Blue Lagoon beach in the Yasawa Islands. 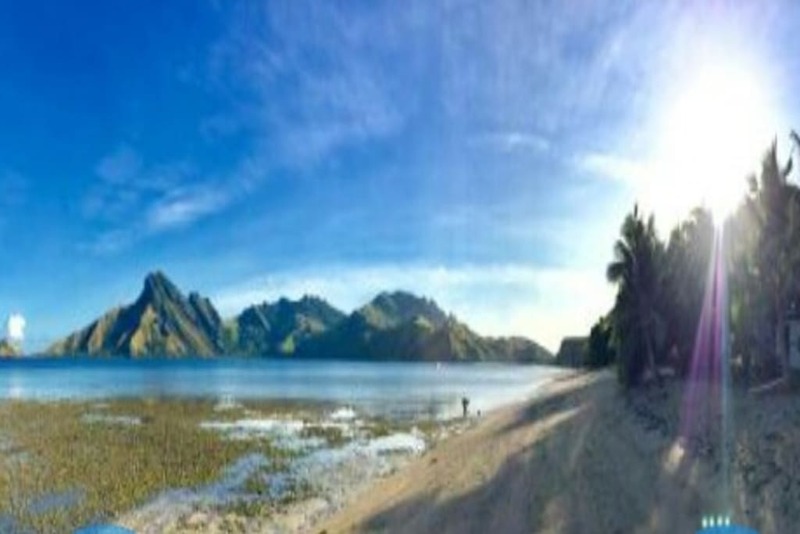 Check Sunrise Lagoon Homestay out! On an island just off the shores of Taveuni, Fiji’s “Garden Island”, this Airbnb homestay gets you immersed in the life of a small Fijian fishing village of around 100 people. 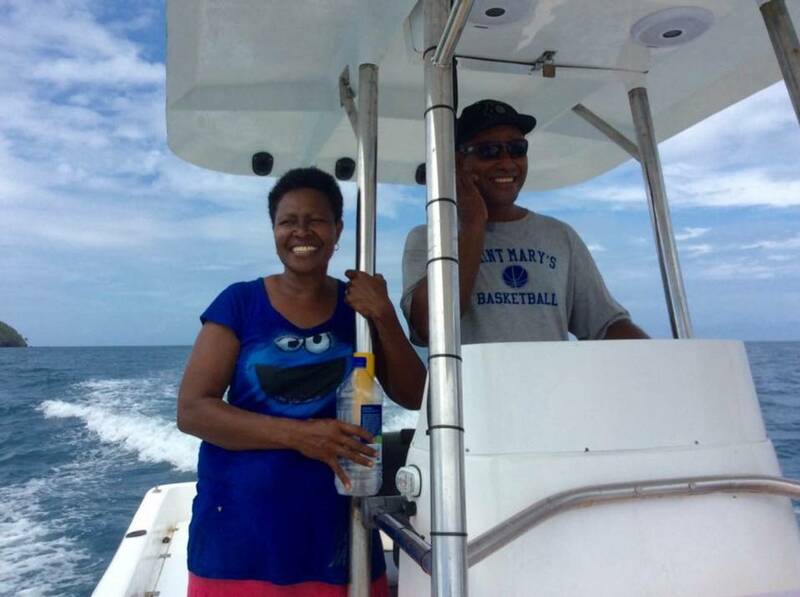 Enjoy meals with your family hosts throughout your stay and treat yourself to something special with your hosts, such as a fishing trip or an island excursion. There’s lots happening in the village that you can join in such as drinking kava, go snorkelling or your host can even organise camping on your own private island. Check Willy Beitaki’s listing and don’t forget to get your FREE FJ$50 Airbnb credit on us! Located on Naviti Island in the Yasawas, Amele’s Secret Getaway allows you to experience what life is like in Gunu Village. Amele’s homestay is famed for its relaxing experience, where you are moments away from a stunning white sand beach, the locals around the village will be happy to talk to you, and you are welcome to experience Sunday church service. Meals are at an added cost but are extremely affordable allowing you to experience the real cuisine of Fiji. This homestay is ideal for families, couples and solo travellers. Check Amele’s listing out and don’t forget to get your FREE FJ$50 Airbnb credit on us! 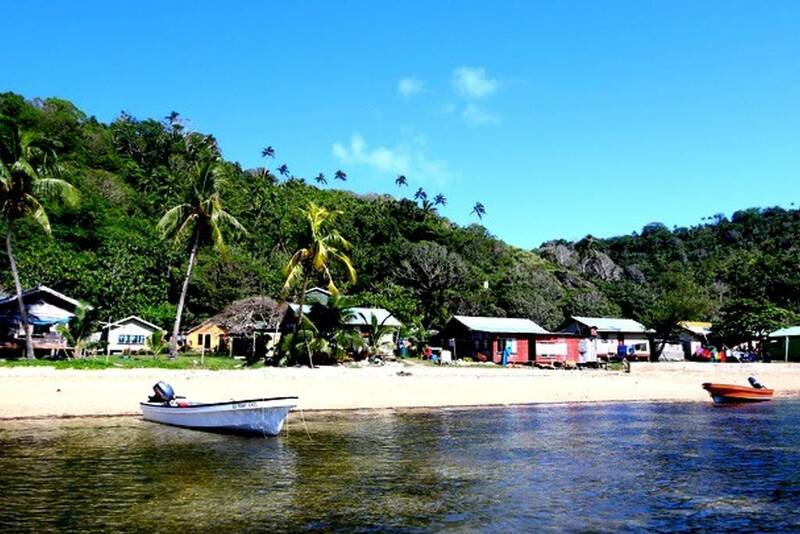 Another fantastic village stay awaits on Fiji’s third largest island, Taveuni. 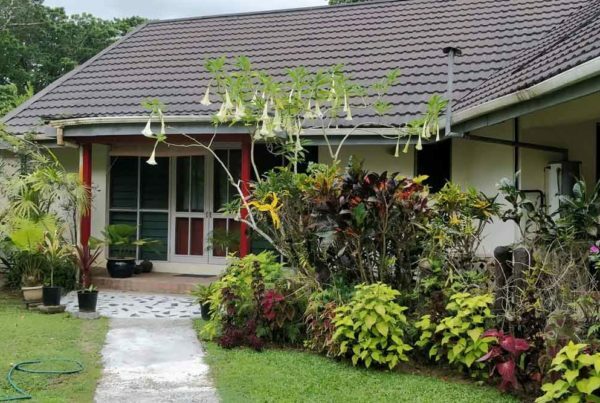 Nestled in tropical forest and just a short drive from the town of Matai, QJ’s Homestay provides an excellent escape from the huste and bustle of everyday life. The village is close to the ocean too, with your hosts providing snorkelling gear for exploring the nearby reefs. Either ask your hosts about the nearby advenuturous attractions such as beautiful walks to waterfalls or simply relax and enjoy the serenity and beauty of your surroundings. Check Qiolele & Losana’s listing and don’t forget to get your FREE FJ$50 Airbnb credit on us! On the northern coast of Viti Levu, Fiji’s mainland, Jioji & Alisi’s place is a excellent place to stay awhile when on a road trip around Fiji! Situated in the village of Rakiraki, Jioji & Alisi have a large family home where there’s plenty of space for larger travelling groups or you may be sharing the experience with fellow travellers. 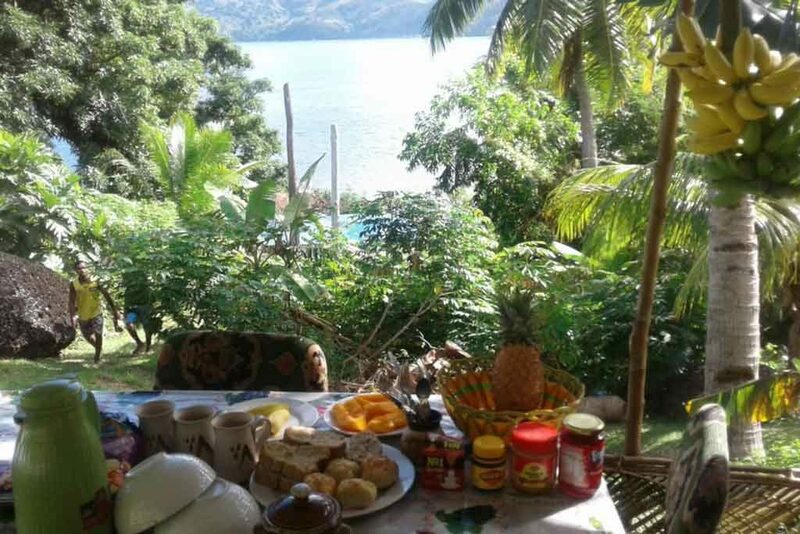 Sample real Fijian cuisine made by Alisi or join Jioji, a diving professional, for one of their scuba diving trips at a fraction of the price of what you will find in resorts. Check Jioji’s listing out and don’t forget to get your FREE FJ$50 Airbnb credit on us! A village stay with a difference, Isa Lei Budget Glamp Tent on Matacawalevu Island in the Yasawas gives travellers a unique chance to do some “glamping” on a scenic island. 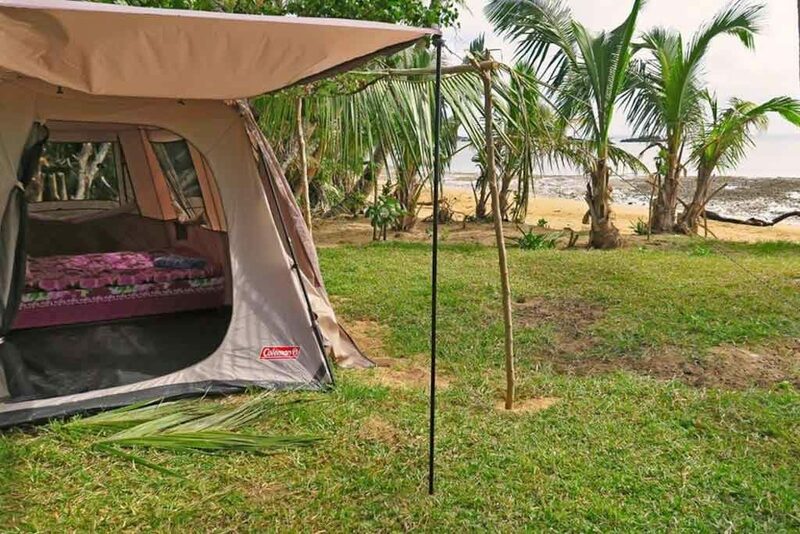 The tents are simple with a made-up double bed or two double beds for families, offering an affordable accommodation option without “roughing it” too much. 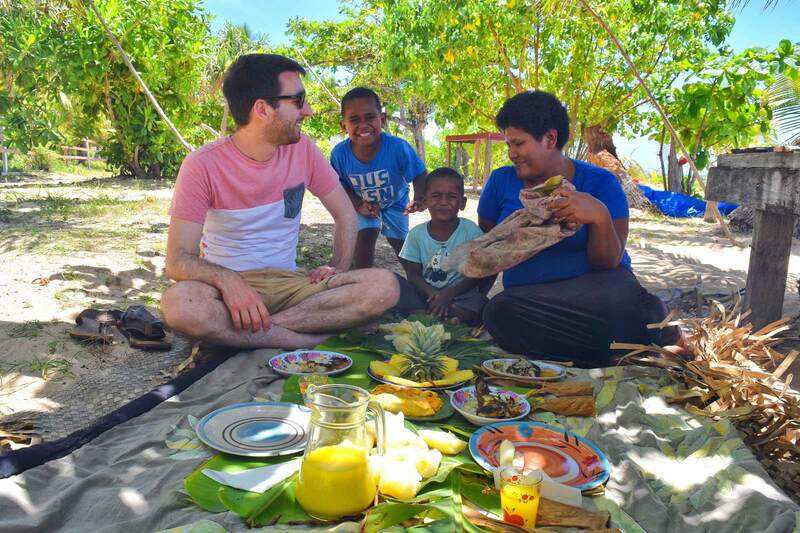 Choose from affordable meal packages which includes authentic Fijian meals, such as lovo (an a meal cooked underground) and kokoda (marinated fish). Other activities are also available which will give you plenty of opportunity to meet the locals in the village. Check Seru’s listing out and don’t forget to get your FREE FJ$50 Airbnb credit on us! Like the listing name suggests, Imeri welcomes guests into her beachfront home to experience “immersion into village life”. Ideal for families, the home sleeps four guests across two bedrooms, as well as having a sundeck giving you prime position to watch the sunset across the beach and the children going to school. It’s a relaxed stay on Namara Island in the Yasawas where you’ll get to mingle with the villagers and learn a lot about the Fijian culture from your host. Check Imeri’s listing out and don’t forget to get your FREE FJ$50 Airbnb credit on us! Another fantastic village stay on Wayasewa (Waya Lailai) Island is with the Ocean View Homestay. Kick back and enjoy Fiji time with your welcoming hosts. Try the authentic Fijian meals, sunbathe on the beach, wander around the village an watch ancient traditions still being played out today. 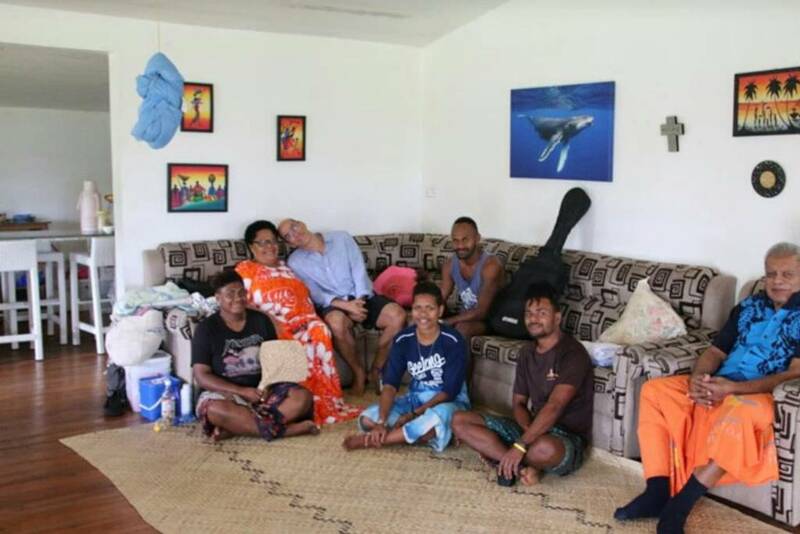 Viliame’s homestay listing caters for up to six people, which is great for getting that village stay experience even if you are travelling as a large group! 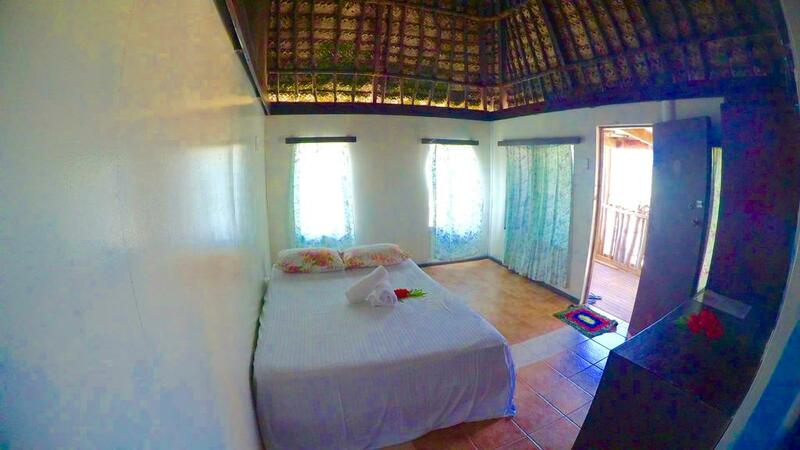 Check Viliame’s listing out and don’t forget to get your FREE FJ$50 Airbnb credit on us! B&B and Homestays on the Fiji Pacific Harbour. Want to get that local's experience or save some money on accommodation while on the Pacific Harbour? Budget Suva Homestays. Fiji and the South Pacific Islands are alive with a vibrant culture which is well worth discovering when visiting. Cheap & Cultural Yasawa Homestays. Who ever said you can't travel Fiji on a budget? !